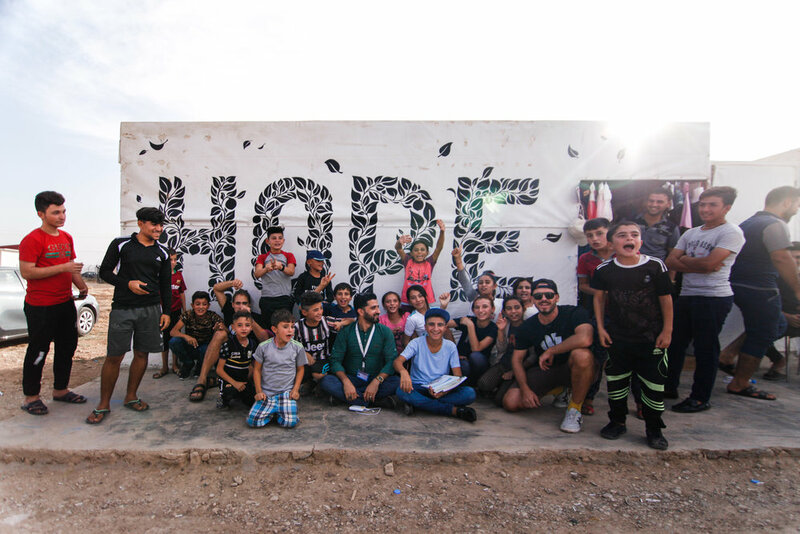 In October 2018, I was offered the opportunity to join Arthelps on a trip to northern Iraq and spend three days in a refugee camp to teach these kids basic creative skills and transform this shop at the entree of the camp with a beautiful encouraging mural. Art is a universal language and through the act of creating we got to put down our differences and work together in unity, which was the most beautiful thing I got to experience on this trip. I love connecting great brands with the organizations & charities I work with to make a difference.